Conventional tobacco advertising for the public in the past has been met with harsh regulations, especially in the US. Across many states, federal laws banned the obvious marketing of tobacco products on mass media channels. While there are notable benefits of banning tobacco from the main advertising domains, there arises a new phase of questions when it comes to the e-cig sector. From a larger perspective, the sale of electronic cigar has been going on unabated. There have been several calls in the past to regulate the said devices. For their users or vapers, it has been a silky affair. Going with the current news in the anti-smoking environment, these much hyped devices are set to face the realities of harsh bylaws, if some restrictive bills in waiting become law. Yet, there remains a hazy outlook, especially within the preference groups that have turned to these artificial sources of nicotine. It is true that e-cigs are huge in terms of marketing and profits, not only for the makers, but they are cost efficient for smokers willing to use them as stepping stones to a tobacco free lifestyle. What most of these vapers are silently protesting is the freedom they are likely to come with contact with in such regulations. Tobacco cigarettes have been banned in most public utility areas, and most e-cig users fear the same fate will be impacted on these devices. While some states have already effected laws for artificial cigar use in public domains, others are still burning their nicotine effortlessly. One of the premises being floated as a reason for banning e-cigs is that these devices do have harmful toxins in their emissions. For instance, some experts have pointed out the harmful effects of Propylene glycol found in electronic cigars. Enthusiastic vapers are apprehensive that soon laws could be put in place to produce an e-liquid nicotine solution, which will be too dilute to offer the feeling with the current e-cig liquids. 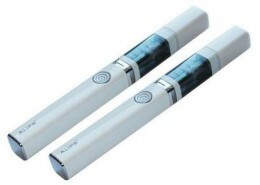 Technically, there is a fear that once the e-cig liquid is diluted, the gadget may become useless as well. The experience that a smoker will have with the device is almost a psychological one. A scenario that will affect such a proposal will leave vapers with no alternative of deriving their vaping pleasures. The trend seems to be finding support away from the US. In Europe, there are similar complaints from the vaping fraternity. Some of them have taken to lobbying lawmakers to go slow on such bills, which would render the e-cig redundant. The war has also found footing on social media, with vapers taking to twitter to show solidarity for the products that have helped millions drop the harmful tobacco cigar menace. Such activism by e-cigarette users and makers will help to adjourn the EU suggestion to slap bans and introduce strict measures for these devices. Find more. Perhaps what the major stakeholders need to do is to identify how these regulations are to be effected. There is a need to identify what substances to be regulated under the medicine or tobacco category. For instance, some European countries are looking to place the device under the medical bracket, such that they will have to be approved by medical censorship bodies.